Before we can have an honest conversation about how to stop wasting food, we need to look at some statistics. Did you know that just one quarter of all wasted food could feed the 795 million undernourished people around the world who suffer from hunger (source)?? What about the fact that In the USA, 30-40% of the food supply is wasted(source)? More personally, the average American throws away between $28-$433 in the form of about 20 pounds of food each month (source). That is an INCREDIBLE amount of money throughout the year! If we use the smaller numbers, 28×12= $336.00 per YEAR that’s money we are just throwing away. I have been (past tense) one of the worst food-wasting offenders. Week after week I’d end up throwing out an avocado, a pepper, half a package of bacon, a Tupperware or two of questionable leftovers. I never thought of it as acceptable, but I seemed to be totally unable to control the waste. It was like it was just… happening. I throw the word intentional around here all the time, but only because it’s so necessary to the direction I want my life to go in. If I want to stop wasting food, I have to decide that I will stop wasting food and then I have to stop wasting food. 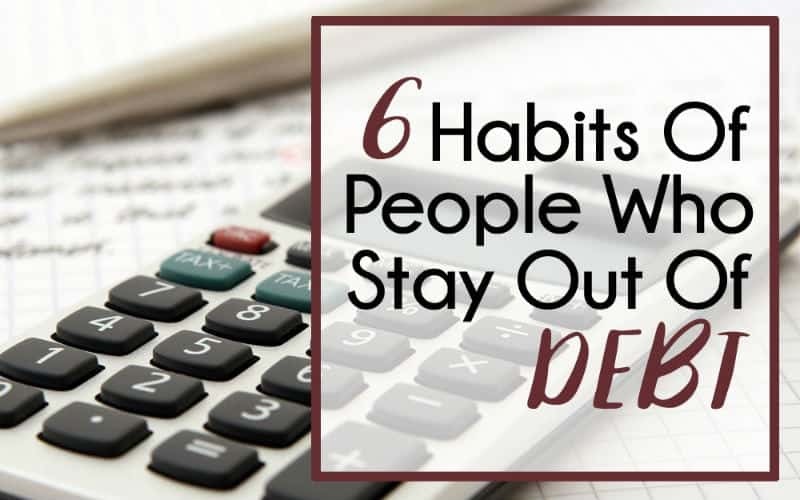 Since wasting was happening so often at my house, it follows that if I wanted to stop wasting, I needed to ditch my bad habits and grow new habits. I started by identifying what I was doing wrong. It wasn’t that hard. I was over buying (because “bulk” is cheaper). I wasn’t planning any meals so I’d let things sit in the fridge until I had the “inspiration” to use them. I was “forgetting” when I opened things, and letting them get really (really) old…until I didn’t know if they were safe anymore. I was cooking incompatible amounts of food – so we’d eat all the chicken and be left with just rice, but not enough for a meal. What’m I gonna do with that? My fridge was a disaster so I didn’t know what I actually had in there. Yikes. Those were the things I WAS doing. Here’s what I do now to avoid waste. ♥ Don’t buy food you won’t eat. I used to tell myself I should try to eat yogurt and melons. Both are pretty icky as far as I’m concerned. So really what I did was buy, store, and throw away yogurt and melons. Madness. I no longer buy yogurt or melons. ♥ Buy what you know you can use. This (usually) means – for me – no more fresh produce from Costco. Saving a couple of bucks isn’t really saving if you’re throwing half of what you buy away. Big giant bags of salad aren’t allowed into my house. We can’t eat a giant bag of salad before it dies. Big tubs of mushrooms on the other hand? No problem. (I put mushrooms in everything.) Two pack of giant roasts? Yes please, one to cook and one to freeze. ♥ Meal plan – very loosely even. If you wanna plan every meal, that’s awesome! I only do supper, and I don’t stick to the meal plan religiously (here’s a great way to start meal planning!) But before I go shopping, I always scribble out a list of the meals we’ll be having in the upcoming weeks. I don’t assign a date to them, just ingredients. That way I can make sure I’m using up what’s in the fridge and also that I’m buying stuff I know I’ll use. I reference the list a few times per week after that, just to make sure I’m staying on track and there isn’t a salmon going to waste somewhere. ♥ Follow good sense anti-spoilage rules: don’t contaminate dairy/meat/bread, wash your produce with vinegar, store potatoes and onions in the dark. Ever notice that where you touch a block of cheese that’s the first place that it gets moldy? Bacteria on your fingers can cause spoilage… Same goes for meats and breads. Don’t drink out of the milk jug. Besides being icky, that will absolutely cause it to go bad faster. Bacteria also ruins produce! Berries especially tend to last SO much longer if they get a vinegar bath. Fill a (clean) sink with room temperature water and a 1/2 cup of white vinegar and soak all your produce as soon as you get home from the store. Stuff that comes in those little plastic tubs with all the holes? Don’t even unpackage it, just submerge the whole thing! 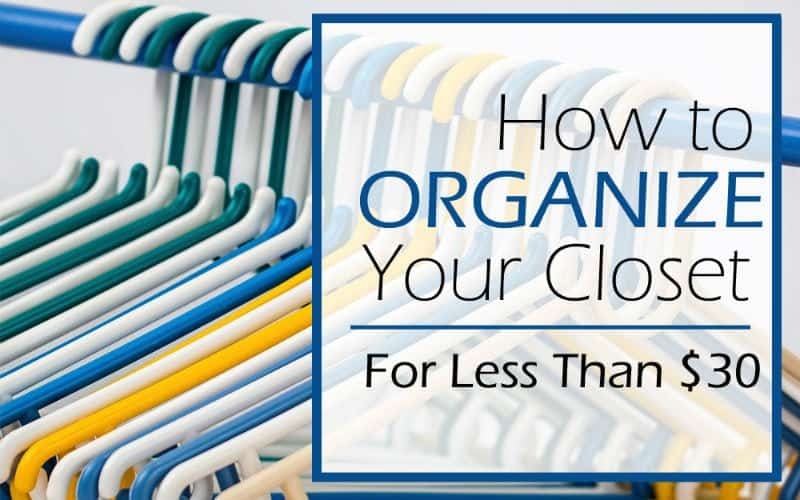 By eliminating the bacteria you’re giving them a longer lease on life. Let everything drip dry on a tea towel before you put it in the fridge. Potatoes and onions are weird little hermits, and they like the dark. Just give them what they want. ♥ Write dates on jars and bottles as soon as you open them. So straightforward. I write the date I opened something on the lid, and we use it before it gets to be 2 years old and we’ve forgotten when we bought it. ♥ Actively decide, when cooking, if there will be leftovers or not. No more just cooking and then finding out how much you’ve made. This takes a little practice, but eventually you’ll know exactly what your family will eat, and you can cook to either have leftovers or to not have leftovers. I plan at least two nights of leftovers per week. ♥ Give food away. On the off chance I’ve bought too much or discovered we don’t like a new product, I would so rather see someone else eat it than store it for a week or a year and then chuck it. If I forget a pepper in the fridge and it gets a bad spot, I chop up the good part and put it in the freezer for chili. If I open a package of bacon I cook the whole thing, regardless of if we are gonna eat it all right away. Cooked bacon can be used so much more easily than raw bacon so it’s 10 times more likely to get used up! Our bank account is much healthier and my conscious is so much clearer now that I’ve been able to stop wasting food. 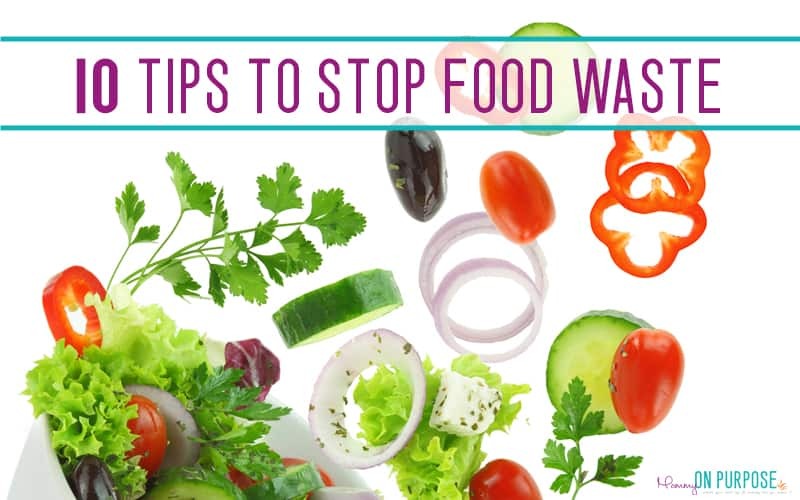 What tips do you have to cut down on food waste? NextHow narrow does your niche have to be to have a successful blog? 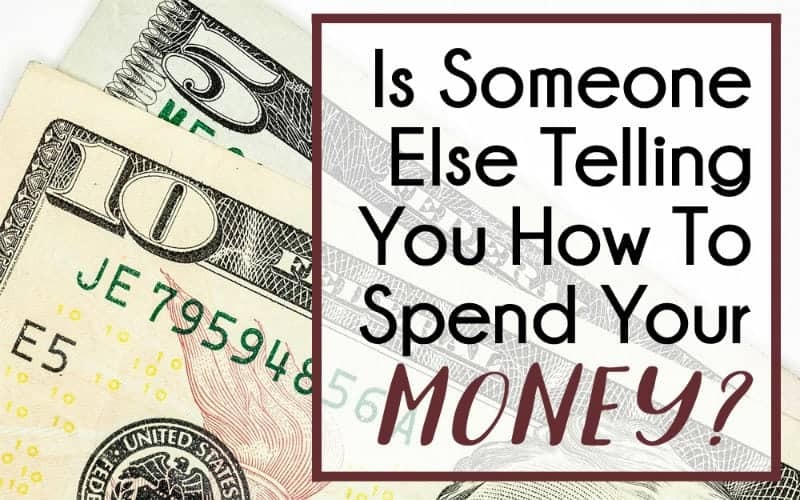 Is Someone Else Telling You How to Spend Your Money? Hey Amy! Thanks for reading! That is a FREAKING AWESOME IDEA! (Sometimes when I’m not diligent I wonder the date on the clear containers anyways… lol). Whenever I freeze something I write the date on the package, but I never thought of doing it for the fridge. 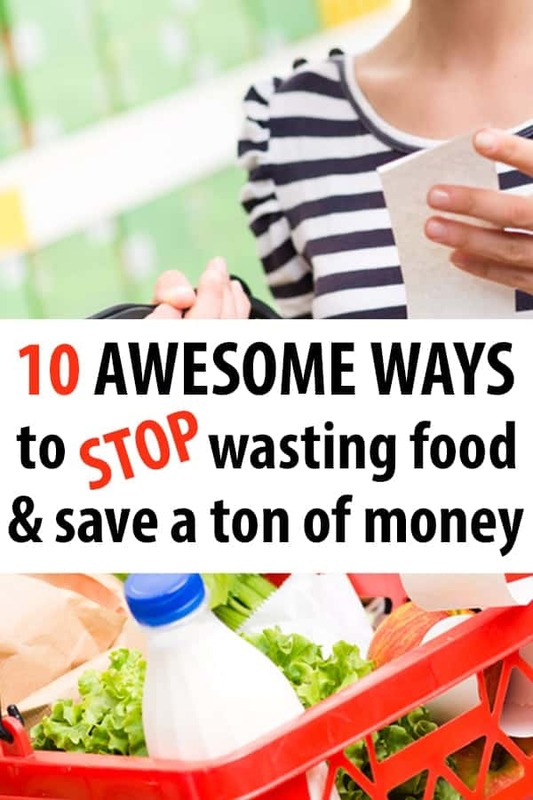 You are defenitly winning at not wasting food! Little bits of leftover vegies, including carrot tops, scallion ends, celery leaves, peppers, etc., get tossed into the large zippy bag in the freezer. When it’s full, I make vegetable or meat stock (I also save chicken bits and bones, pork shoulder bones, beef bones). Also, I have a new policy: no tads. That is, no little bits of leftovers go back in the fridge to get lost and become science experiments. I’m done promising myself the tads will get eaten. They never are. If it can’t go in the stock baggy or soup, I chuck it. Not worth finding it at the back of the fridge 3 months later. Leftover rice (if there’s enough of it), makes great stir fried rice. Hey Dona! I’ve seen other people make stock with leftover bits, and I’ve always wanted to try but never been brave enough! Is anything good to go in? They used to do it at a restaurant I worked at and they had the BEST homemade soup ever… I think you’ve inspired me to try it. Anything I shouldn’t add?? You can use just about anything but avoid brassicas like broccoli, cauliflower, etc. They can make it taste funny. Great ideas! I hate to waste too–and I really enjoyed your take on it. I love the idea about writing the date you open something on jars. Great summary of tips. I’m going to have to try the vinegar bath for my berries. What I do that saves me tons of food waste is I freeze all of our meat in meal sized portions…usually 3/4 lb raw or 1/2 lb cooked. I have a monthly meal plan of just what protein to cook so that I know to pull it out of the freezer. I buy veggies once a week and if it’s been in the fridge for 6 days I cook it and freeze it or make sure that I use it that night. I always cook the whole package of bacon as well. I cook it in the oven because it is so much easier than pan frying. It’s a lot easier to add bacon to a sandwich when it’s already cooked and waiting in the fridge. 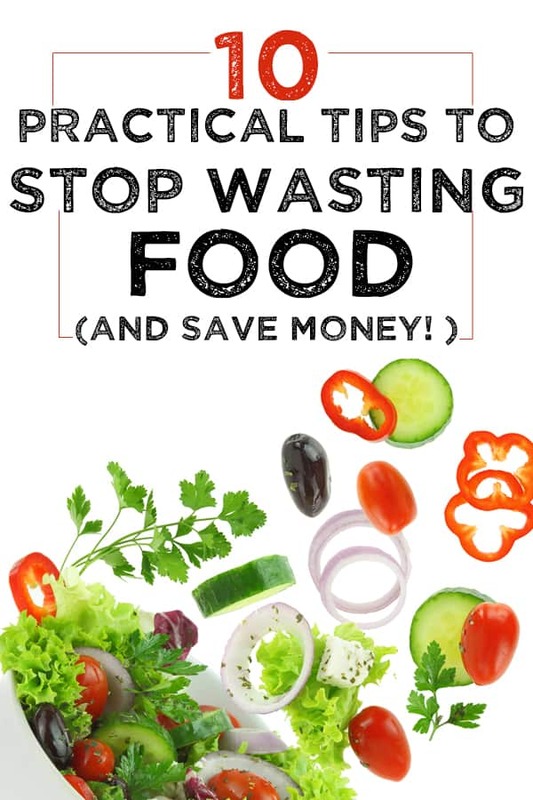 Anyone looking for some good ways to stop wasting food and saving on meals watch the series ‘jamie oliver money saving meals’ i got some really good tips from there!Not all practical but some very good ideas. I’m in! We had five children (all married and not living at home). I have a bad habit of buying large amounts still hard for me when shopping to think only him himself and me home now. Also my brain tells me to get th LARGE size thinking I’m saving money. Wrong! I need a two person meal planner. I waste food as all those comments stated. Will try to follow a strict or plan. I promise. Will look up Jamie Oliver. I have his cook book not always easy to follow the recipes because of lack of ingredients. I need a monthly shopping list. I am on social security and need to stop the waste. Thanks for the postings. I actually do better by breaking one of your ‘rules’. I don’t store my potatoes and onions in the dark, because if they’re in the cabinet I WILL forget they’re in there and they’ll go bad. If they’re on the counter (maybe in a shadowed area) I will look at them and realize they need to be used. Hey Ginger – I need to say, good point! There was this one time, or maybe twice, that I TOTALLY forgot where I put some potatoes and only found them later because of the smell. IT was a hard (and gross) lesson for me… I no longer forget them, but I can see where you’re coming from! I love these tips – I absolutely hate wasting! My favorite tip that has seemed to work for well is I keep a list of “leftovers” (or anything that needs to be eaten soon) on the fridge. Then when my husband is hungry and goes to look in the fridge, he can see that we have some leftover chili, stuff for chicken salad sandwiches, and grapes. And he knows that I’m not planning to use any of those foods for another planned meal. It help us go through leftovers better and reminds me what produce I have in the fridge, too. Hey Kaitlyn 🙂 Thanks for reading! Wasting food is one thing that absolutely makes me feel sooooo guilty. 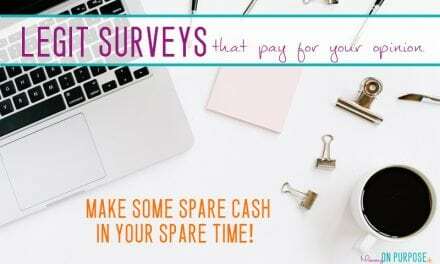 Love the suggestion of a leftover list – I can totally see that helping my husband too! Great idea, Carly. I agree with you. I really hate wasting things. Thank you for posting this blog. I have to say this leaves me a little in shock. We are a family of 6. I grocery shop by the month, so yes we buy in bulk. I try not to have too many leftovers when I cook, what we do have goes in a container, then labeled with what it is and the date it was cooked. The most it stays in the fridge is two weeks. I don’t buy expensive containers, I reuse the sour cream and butter containers… Then IF something goes bad in one of those, I can just throw the whole thing out. Before I go shopping, I shop my cupboards, freezer and fridge FIRST. Then I’m not rebuying something that I already have. Most everything gets frozen right away-including the bulk packages of meat. It just takes a few more days to thaw. When it does thaw, I separate and re-freeze in labeled bags that fit the meals I have planned. If I make something I know we aren’t going to want the leftovers for right away (like soup), it goes straight in the freezer. Soup is easy to thaw in a pan just like canned soup if somebody wants it. Sometimes leftovers are ‘made over’ instead eating how they were originally made. For instance, meat with potatoes gets made into an open face hot sandwich (potatoes, meat, gravy); leftover taco meat gets made into nachos. Be creative with the leftovers and you won’t waste those either. I always cook more potatoes than I need then mash them.l freeze the leftovers in zippe bags and flatten them so they lay flat in the freezer.These can be used for a shepherds pie depending how many bags you’ve frozen.How nice to make a quick shepherds pie.no peeling potatoes .sausage and mash takes no time with leftover mash from the freezer.Just microwave (it takes longer in the oven to heat through).This saves me wasting potatoes and time and money .